Coming from New Zealand it is not often one gets to see buildings that are so grand, majestic, overwhelming, and frankly, just old. Frederiksborg Slot as it stands now was constructed between 1602-1620, though some parts date back to the original structure from 1560. This notion is rather dumbfounding to me, realising I have wandered through the same spaces as people from 400 years ago. Every tourist cliché emerges from the woodwork and nestles in my terribly formulaic expressions as I take it all in. The place is a visual overload - a slight dizziness comes on from turning around in wonder while staring up at the impossibly lavish ceilings, weighed down with ornately carved decorations. Above a couple of names and a date have been scratched into the glass, a way for other tourists to leave their marks in history, and in a time where it was easier to get away with such vandalism. This was etched on in 1930, and it was quite glorious to think of others marvelling over this fantastically ridiculous building, and creating some sort of perspective for someone visiting 82 years after them. I was reminded of Highwic, one of Auckland's historic houses open to visit. 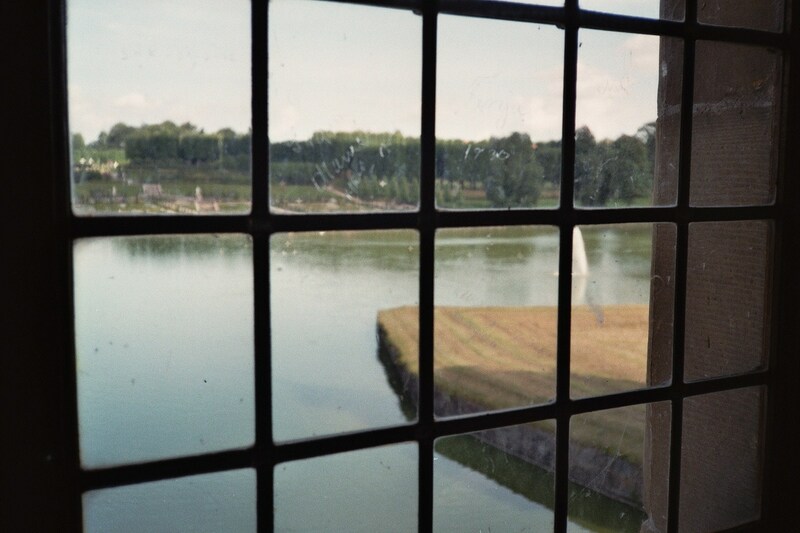 On one of the windows in a servant's room, the name 'Florence' is etched into the glass. The story goes that Florence was a housemaid who stole her mistress's diamond ring, and used it the scratch her own name into the window pane in her room.